Print off or mention these great deals at time of booking to reap the rewards! We aim to provide our customers with a fun and memorable experience on the river and hopefully catch a few fish too. There are over twenty boats; 4-6 seater tinnies, polycrafts, BBQ cruisers for 8, 10 and 12 plus luxury BBQ boats (with toilets) for 12. Also available are paddle craft: 1-3 person canoes, kayaks, paddleskis and stand up paddle boards. Experience, explore and enjoy the magnificent Maroochy River and its many tributaries. Get a group together or go out on your own for a fish, barbeque or paddle. At Swan Boat Hire, you have the freedom and independence to easily drive your own boat to wherever your heart desires. The picturesque Maroochy River is one of the Sunshine Coast's premier recreation areas - offering many beautiful spots for relaxing in your own patch of nature. Spend the day dropping a line at a top fishing spot, go sight-seeing, bird-watching or just observe the ecosystem at your own pace! Stop for a barbeque in a Pontoon Boat, pack a picnic to have at one of the parks along the way or call in for a pub lunch at the Waterfront Hotel. 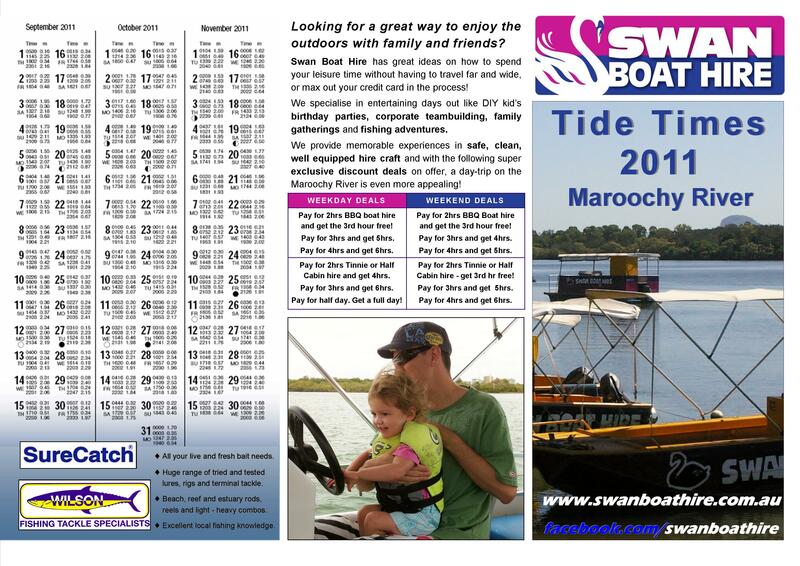 Swan Boat Hire is a small business which has been run by the Planck family for over 14 years. When we purchased the business in December 1996, it had a small fleet of fibre glass boats and an old shop in need of some TLC. Since then, the six members of the family and our young but capable staff have worked hard to turn Swan Boat Hire into the business it is today. We strive to provide quality, clean, comfortable and safe boats, allowing our customers to have fun and memorable experiences on the river and hopefully catch a few fish as well. We now have over twenty boats including 6 and 8 seaters tinnies, runabouts, half cabins, cruisers for 7 and 10 people and luxury BBQ pontoons which seat 8, 10 and 12 people. We also have non-motorised craft such as canoes, kayaks, paddle skis and aqua bikes which seat one to three people. Some of our achievements include, winning the Service Award in the Small Business Category of the Sunshine Coast Excellence in Business Awards 2002, which was a huge confidence boost for the young team. In 2004, all the team from Swan Boat Hire attended the Sunshine Coast Excellence in Business Awards at the University of the Sunshine Coast and and came away with two prestigious awards - most improved in the Service Category and a Management award. The year 2005 we were awarded the the Service Award for the Medium Business Category (as we have increased in business size since the last awards) and then were stunned at the end of the ceremony when we were announced at the Micro Business of the Year. So congratulations to all the staff for their efforts over the last two years, without them this award would not be ours. In December 2006 there were changes afoot. Swan Bites on Bradman, formally Maroochy Snack Bar, began under new management by the successful team from Swan Boat Hire. A young and dynamic team is breathing new life into what was a tired business by improved customer service, providing high quality menus with more choice and the introduction of innovative and efficient practices. Since then Swan Boat Hire and Swan Bites work together in union to provide the best service possible to the Sunshine Coast population. Peak rates apply for all Australian School holidays, excluding public holidays. Current as of July 2018, subject to change by management. 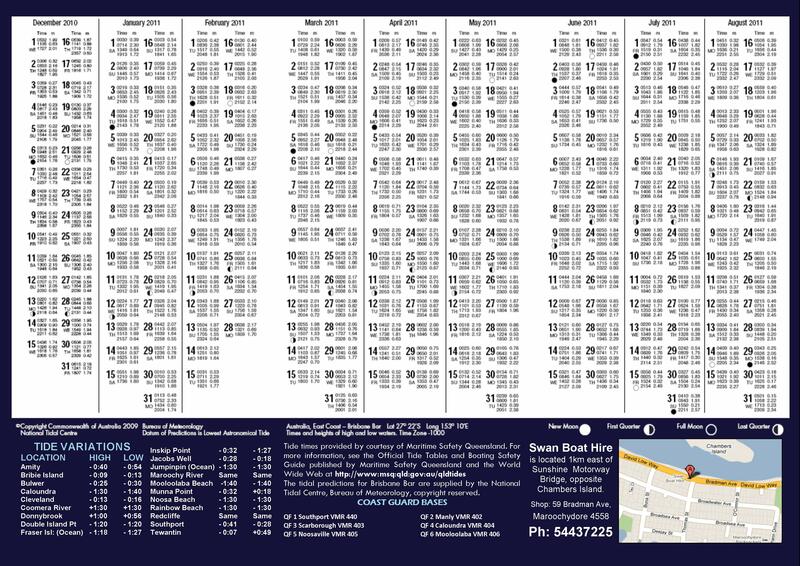 Public Holiday rates apply for all Australian public holidays.